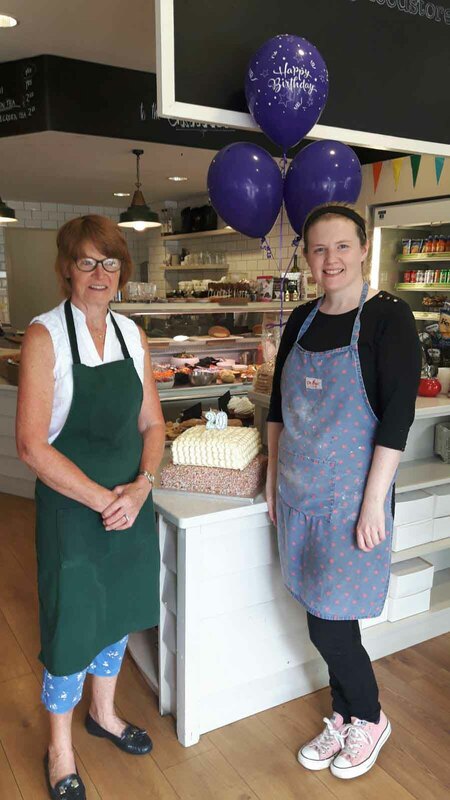 The Granary Foodstore Celebrates 20 Years! 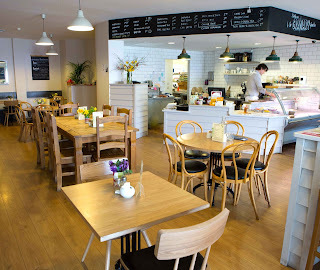 Popular Cafe in centre of Midleton town. 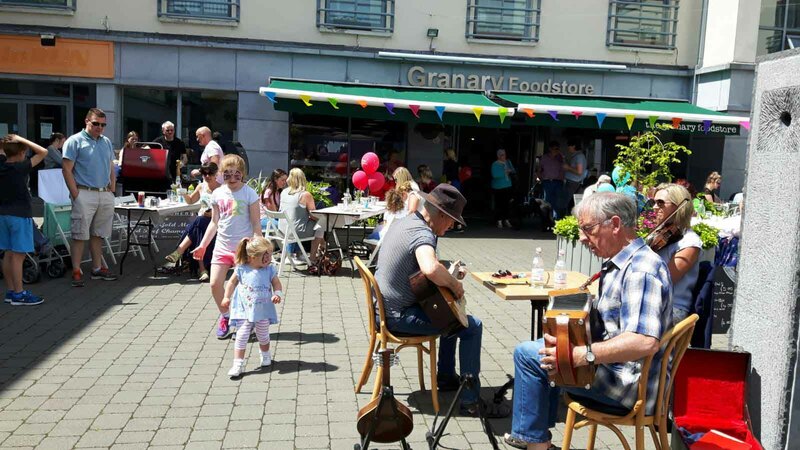 Granary Foodstore Celebrates 20 Years! “It was nice to mark the 20th anniversary”, said Jack O’Sullivan of Midleton’s Granary when I met him in the restaurant earlier this week. “The Kids Bake-off was a highlight but there was more. We had music, face painting as well, and there was a lovely atmosphere.” The beginnings were small but The Granary has developed into a fine family business, a much loved one, and Jack’s goal is to improve it but “still using the home style of cooking”. It was his mother Eleanor who started the business. When she opened the door for the first time twenty years ago, the punters started coming. But there was an opening day drama, a little one. The cash till had not arrived as scheduled! But it soon appeared and they were up and running. That was in the original premises, nearer the distillery. It was in an old grain store, and that’s where the name came from. 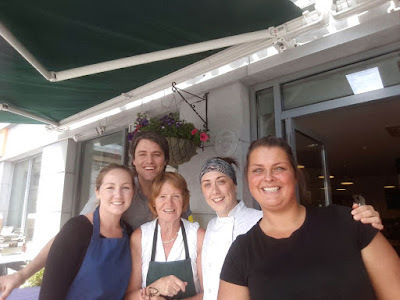 Eleanor, who still works in the cafe, had gained her experience in the town’s Farm Gate and one of her jobs was to make fresh pasta and that may well have been the first fresh pasta in Ireland. She started off in her Granary making ready-made meals and baking, all done in the kitchen. 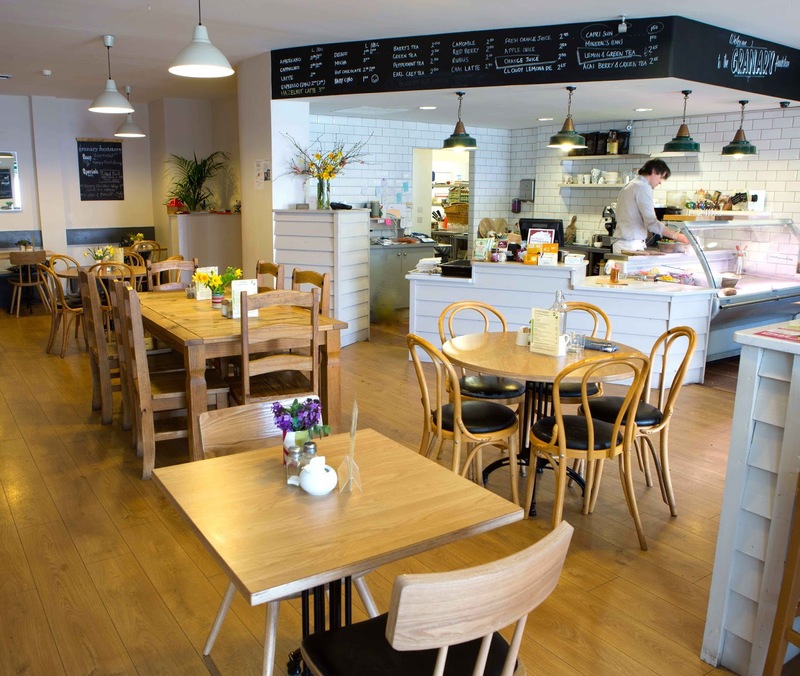 It went very well indeed but, nonethless, ten years later, it was a bold move to the new development on the square, taking on a much bigger premises, the aim being to keep on doing the same, still more of a food shop than a sit-down cafe. Bit by bit though, the ready-made sales started to slip and so the decision was made to make the restaurant, serving simple meals, the main focus. Jack, with limited opportunities in his chosen profession of quantity surveyor, was now on board. We asked him if there was anything on the menu that the customers must have. “Oh yes there is. Our Crispy Chicken Wrap. We tried taking that off the menu but it provoked quite a reaction. So many customers come just for that wrap. And the Lamb Stew is another dish that we’ve been doing from day one.” By the way, we were sitting at a table that had been kept from the original Granary. His own favourite is a salad. “Yes, I look forward to them. 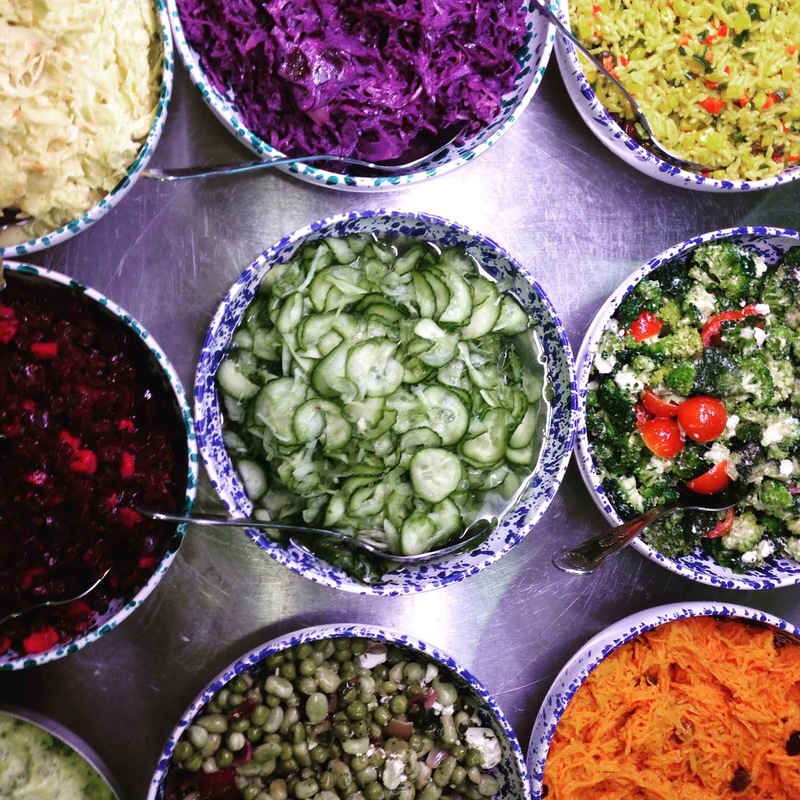 We have a great variety and all are made here in the kitchen. And they are also very popular as a takeout. There is a trend now towards healthy food and that is going well for us. Still though, our cake display is another big draw for us.” The cakes, again all made on the premises, are unmissable; you see a table laden with tempting choices as you come in. The Granary supports local producers including O’Farrell Butchers, Ballycotton Seafood, Pana Breads, Jack Cuthbert breads, East Ferry, and Leamlara Micro Greens. 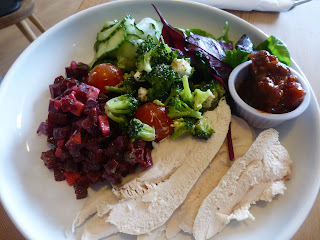 On our visit, we tried out a couple of those salads. I loved mine, based on Gubbeen salami. And, another tip, do try their Tunisian Orange Cake, gorgeous aroma, texture and flavour. And if you wish to find out more, check their website http://granary-foodstore.com where you’ll find the menu and even a few of their recipes! 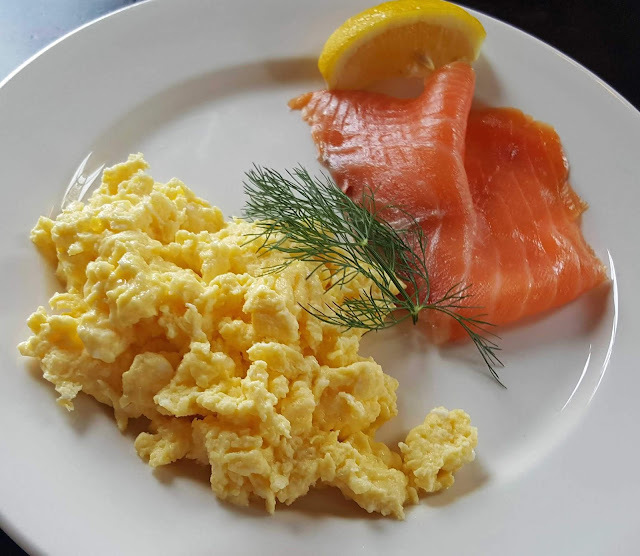 This Taste of the Week is delicious and easy to make. 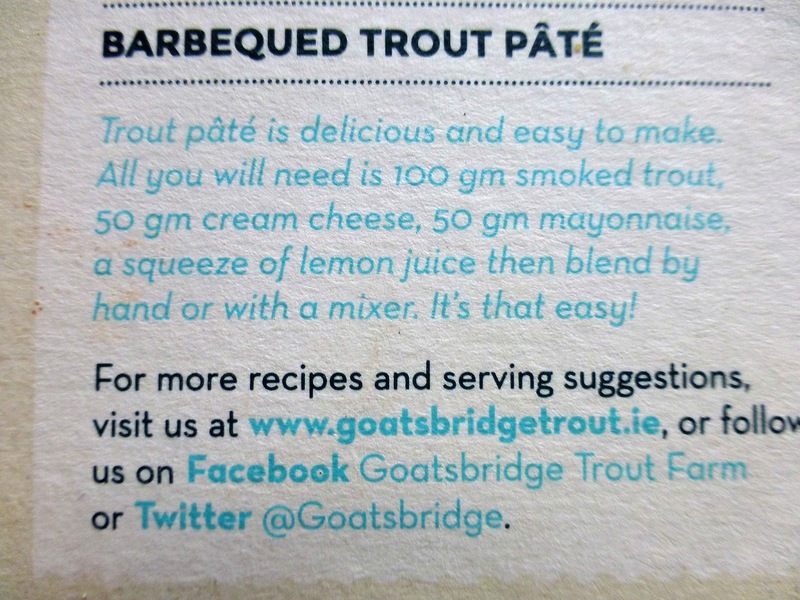 And we even have the recipe (below) for you! 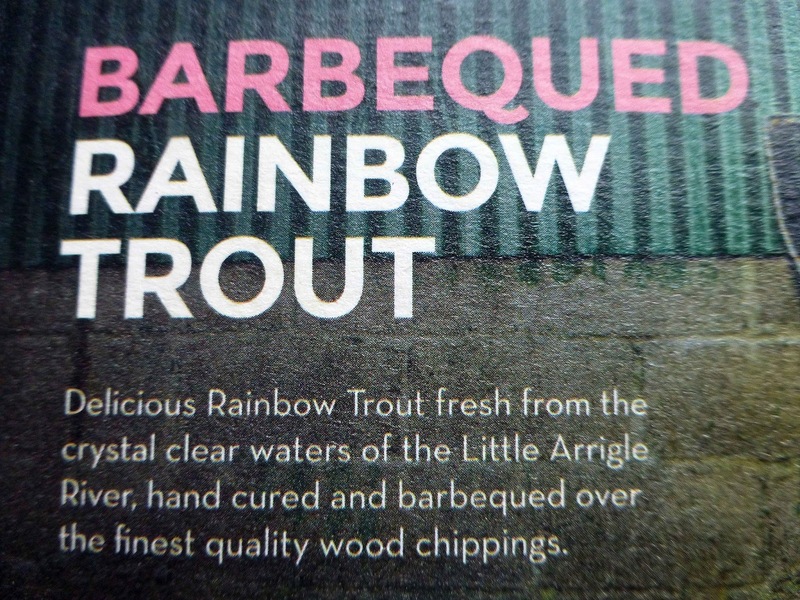 Your main ingredient is Barbecued Rainbow Trout from Goatsbridge in Kilkenny. 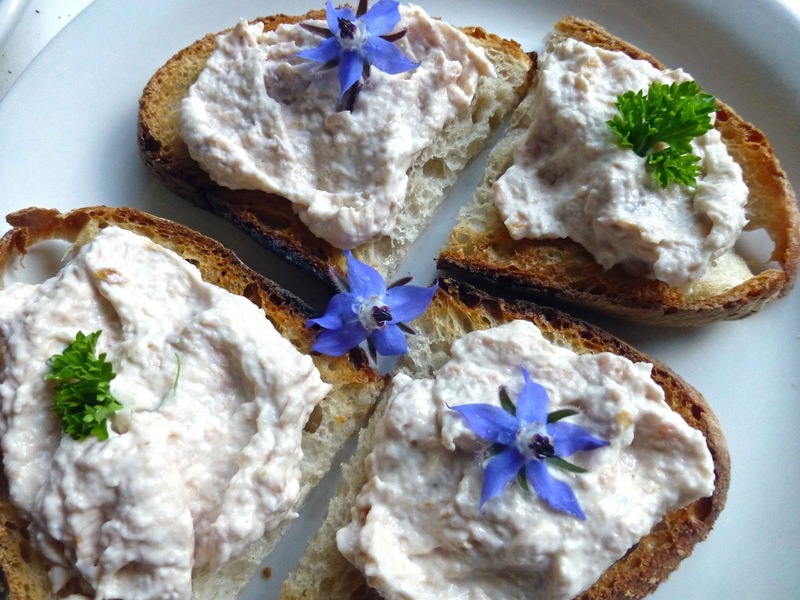 Just follow Mag’s recipe and add the Paté to a quality toasted sourdough, Pana was the bread used on this occasion. 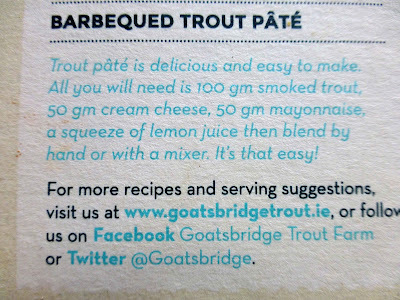 For more about Goatsbridge products, and more recipes, visit their website and online shop. Thanks largely to the pioneering work of Arbutus Breads, many of us are used to getting high quality loaves at markets and shops. 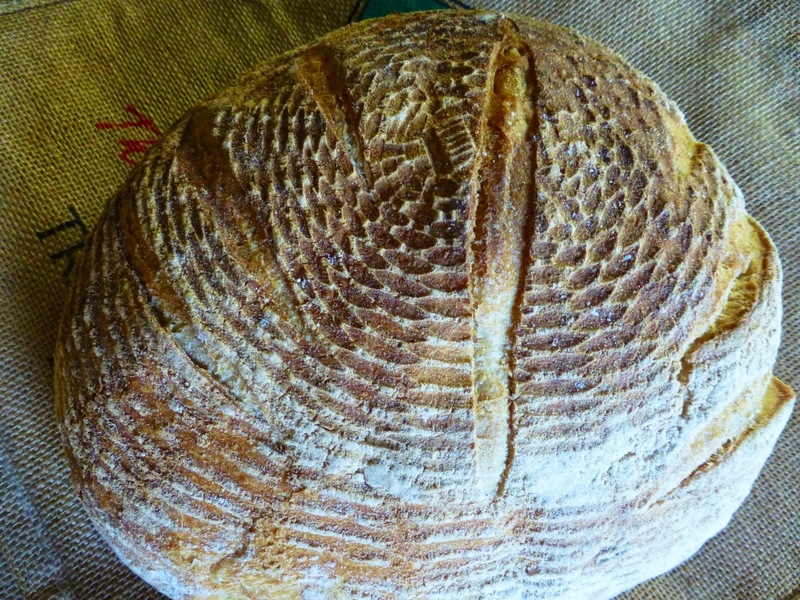 If I had to guess, I would say that sourdough is the most popular. This is an excellent example. It is made by Pana (who have a shop in Merchant's Quay) and has won at Blas na hEireann. 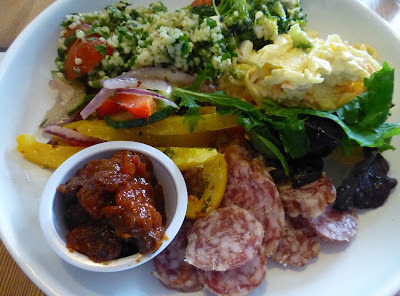 I bought this at the Coal Quay Market last Saturday from the Clover Wholefood stall and it is Taste of the Week.